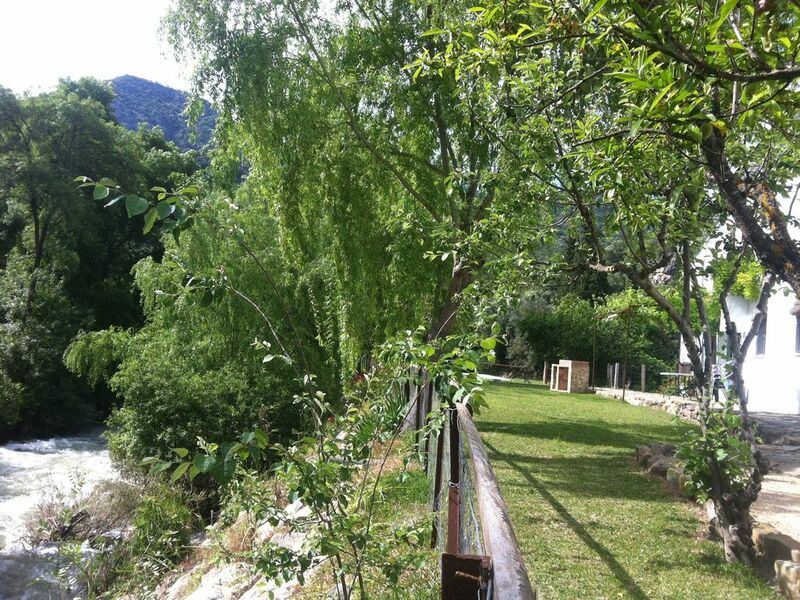 The house is located in a quiet and pleasant setting along the river, natural park of Grazalema Càdiz the area of ​​the mountain., Typical Andalusian architecture. Completely renovated, in the countryside, house with five bedrooms, 2 bathroom with bath (in each floor), kitchen (16m2), fully equipped kitchen, living room (60m2) we can accommodate 8 to 12 people, windows in each room, garden of 3000m2 with lawn, swimming pool (9x6) and river are fenced, river which crosses the property is very appreciated by the children, possibilitée to fish, or to watch and listen to the song of the birds. My family and I thoroughly enjoyed the stay. The house and pool were ideal and Maria was so helpful! Easy to recommend this property. Precioso entorno y aislado de todo. Paraje para desconectar de naturaleza. Casa impecable de limpieza. Dormitorios que están muy bien. En primavera y verano ha de ser estupendo . Creo que faltan edredones en época de mucho frío al ser una casa antigua y grande. Fuimos un grupo y estuvimos muy a gusto. Carmen nos atendió en todo.